Embelleze Novex Leave-in Noite Treatment Cream Nocturne 5.2 oz. 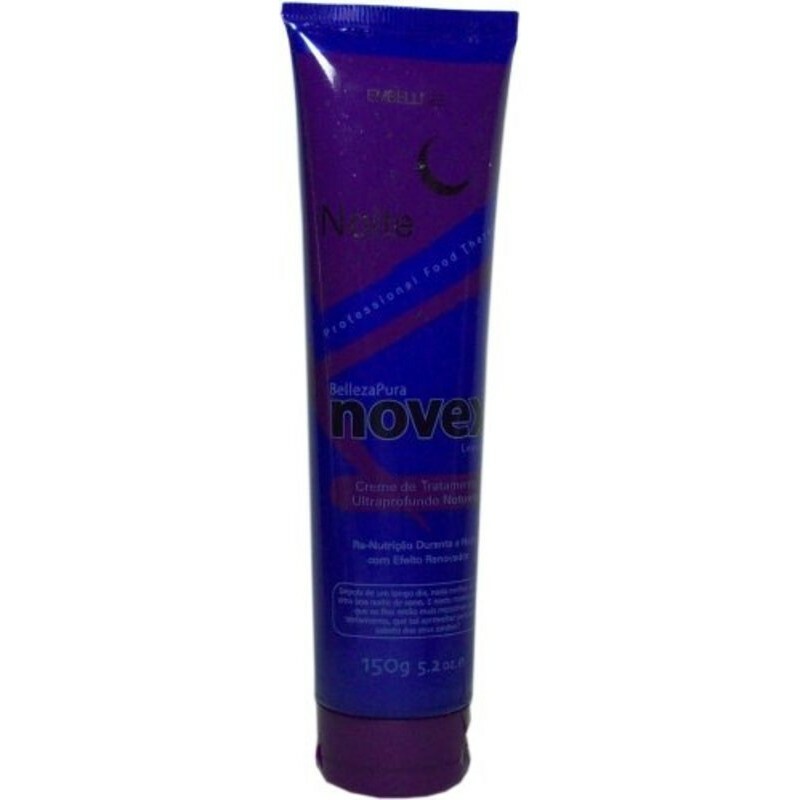 - Just Beauty Products, Inc.
> Hair Products>Embelleze Novex Leave-in Noite Treatment Cream Nocturne 5.2 oz. The hair you've always dreamed of, Novex BellezaPura Noite is the Treatment Cream Nocturne that restores and nourishes the beauty of your hair during sleeping hours, when the hair are more receptive. It also comes with Oligomix, that restores essential minerals, Lipex Shea W - moisturizes and repairs the hair and Omega plus, nourishes the hair fiber. Your hair will have a pleasant perfume. With Novex BellezaPura Noite, you get the hair of your dreams. How to use: Before bedtime, apply a small amount on wet or dry hair on ends and throughout. No leaves your hair heavy, no need to remove in the morning, can be used every night, as a finishing cream without rinse. Ingredients: Aqua, Cetearyl Alcohol, Behentrimonium Methosulfate, Isopropyl Myristate, Paraffinum Liquidum, Cyclomethicone, Dimethicone, Dimethicone Crosspolymer, Dimethicone Bisamino Hydroxypropyl Copolyol, Parfum, Cetrimonium chloride, Hydrolyzed Keratin, Sodium PCA, Arginine, Serine, Proline, Cysteine, Methylparaben, Propylparaben, Disodium EDTA, BHT, Cetyl, Sheabutterate, Sunflower (Helianthus Annuus) Seed Oil, Corn (Zea Mays) Oil, Sesame (Sesamun Indicum) Oil, Macadamia Ternifolia Nut Oil, Olive (Olea Europaea) Oil, Zinc Acetylmethionate, Copper Acetylmethionate, Magnesium Acetylmethionate, Manganese Acetylmethionate Res. Anvisa343/05.